ORS recognises that it can only adapt, grow and prosper through its people. Our staff are our assets and key resources. 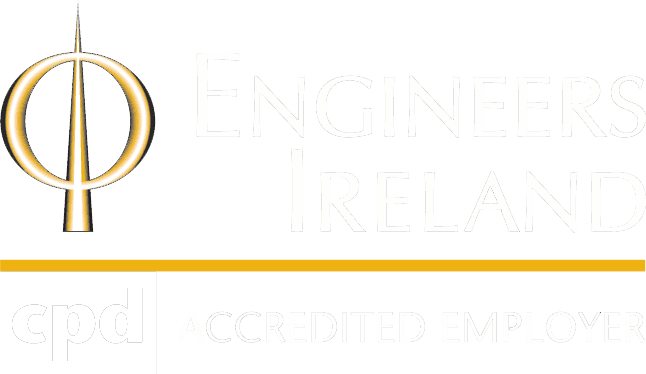 In 2017 the firm achieved the highly acclaimed Engineers Ireland Continuing Professional Development (CPD) Accredited Employer standard. This is in recognition of our continuing professional development strategy. The Engineers Ireland CPD Accredited Employer standard is a strategic framework that enables engineers and engineering employers to raise competency levels. As an organisation, we value talent and continuing professional development. We understand that investment in people is required to drive innovation and improve processes. The pace of change in the industry. The emergence of entirely new technologies and markets. Carefully planned CPD can bring about the necessary advancements in the competences of engineering professionals for them to sustain career-long high performance and avoid professional obsolescence. While ORS provides the environment and encouragement to carry out CPD, ultimately, CPD is the responsibility of the individual. All Directors and Team Leaders are responsible for supporting the development and learning of the people working for them. However, individual professionals need to actively pursue learning opportunities that align with the objectives of the organisation, our clients, professional obligations as well as personal learning styles and life circumstances. All engineering professionals take ownership of their development action plan, suited to their career stage and their overall responsibilities. Regular and ongoing performance feedback. Active support for CPD from management, mentors and colleagues. Systems and processes which facilitate knowledge sharing and ease of access to information/subject matter-experts. A climate both conducive to good ideas and accepting failure during early trials. Clarity regarding required key skills and competences in line with our strategy. Readily available mentoring and coaching. Funding and other supports for CPD and professional memberships which clearly add value. Understand the range of avenues and opportunities which constitute CPD. Review CPD needs on an ongoing basis in line with our business strategy. Embrace both technical and non-technical CPD. Engage in CPD as part of the virtuous cycle of competence upkeep and growth. Be reflective practitioners, taking the time to think about and learn from experiences. Complete and record a baseline minimum average, per annum, of 5 days formal CPD, in a format suitable for audit. Distil and capture learning outcomes from new assignments, projects, courses, etc. Be flexible, curious and courageous, with a desire to learn and share expertise. Investment in our people and in professional development is essential for us to gain a competitive edge and achieve results on both a local and international level. ORS has a strong and strategic commitment to achieving this.